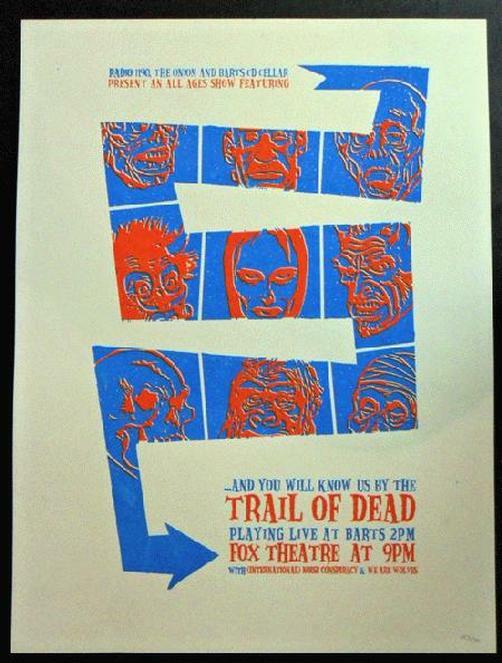 Original silkscreen concert poster for The Trail Of Dead at The Fox Theatre in Boulder, Colorado. 18x24 limited numbered Silkscreen Edition of only 70! Art by Table2press.